In 1841, the Carne Humana rancho was deeded to English ship surgeon Edward Bale. The 17,962-acre Napa Valley rancho stretched from Rutherford in the south to Calistoga in the north. The climate in this part of the valley is warmer than in the south: ideal for red grape varieties known for richness, concentration and backbone. Napa Valley has long been known for its optimum climate for growing Sauvignon Blanc, while its cooler outlying areas have created world-class Chardonnay and Semillon. The climate of Napa Valley’s upper reaches allows for Reds with richness, concentration and backbone, and Whites with lush tropical flavors and bright acidity. The climate here is warmer than the rest of Napa Valley, with summer temperatures reaching 90°F and beyond, and then dramatically dropping to the low fifties or sixties overnight. Marine air entering from the northwest causes this wide swing in temperature. The daytime heat contributes to vivid color and vibrant flavor in the wines, while cool nights ensure bright acidity and structure. Elevations range from 300 to 1,200 feet, with soils that are almost completely volcanic. On hillsides, rocky-stony loam dominates, while alluvial fans are comprised of gravelly or cobbly loams. Heavier clay-silt soils predominate on the valley floor. The most common grape varieties grown in Calistoga are heat-loving reds: Cabernet Sauvignon, Zinfandel, Syrah and Petite Sirah. 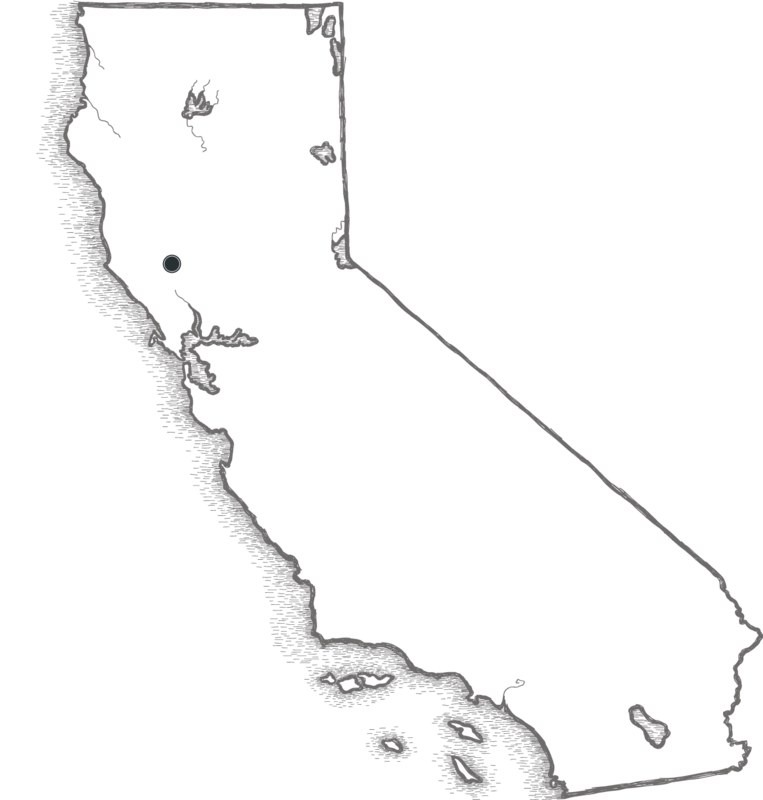 St. Helena occupies the narrowest part of the Napa Valley floor. Heat reflecting off the hillsides brings about warm temperatures with less fog or wind than other parts of the valley experience. Mid-summer temperatures often peak in the 85 to 90°F range and above. Soils in the south and west borders of St. Helena tend to be sedimentary, gravel-clay soils with lower fertility and moderate water retention. Further north and to the east, soils are predominantly volcanic, deeper, and more fertile. Elevations span 150 to 500 feet. Cabernet Sauvignon, Cabernet Franc, Merlot, Syrah and Zinfandel are the most prevalent grape types planted. The wines are characterized by rich, deep flavors and firm tannins. Though Rutherford can be influenced by early morning fog coming in from San Pablo Bay, its climate is moderately warm. The western bench area is cooler, with less afternoon sun and more marine winds. Soils in Rutherford also exhibit an east-to-west delineation. The western benchland is sedimentary, gravelly-sandy and alluvial, with good water retention and moderate fertility. To the east are found volcanic soils that are moderately deep and fertile. The usual summer peak temperature is 90°F. Elevations extend from 100 to 500 feet. Cabernet Sauvignon and Merlot are commonly planted, along with Cabernet Franc and Zinfandel. Wines are noted for flavors that are ripe, full and firm, but with supple tannins for extended aging.